I love buttons! The prettier the better, I actually love the display of pretty buttons on a button card too. I started collecting buttons when I was a child and built up quite a collection! 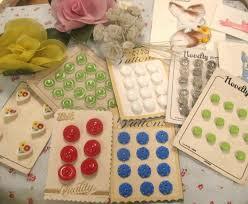 Nothing vintage or historic, just a few here and there, however the fascination with buttons has never left me. 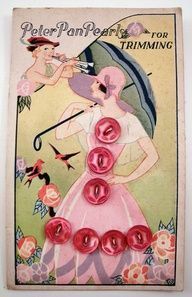 Apparently, one of the earliest form of buttons were “Satsumas”, a ceramic button originating from Japan in the 16th century. There were very detailed and as you can imagine, they are highly collective and expensive! However, evidence of buttons has now been discovered in bronze age sites in both China and Ancient Rome. Functional buttons (used for fastening clothes) came into existence in Germany in the 13th century and popularity has grown since then. Queen Victoria, after the death of Prince Albert, wore jet buttons as a sign of mourning. However, jet was fairly unaffordable to the majority of people and reproductions were made of black glass. 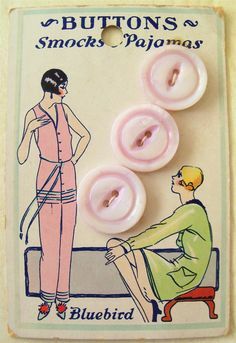 Buttons come in different sizes and are usually collected by material, theme (scenes of country life), usage (military uniforms) or historic importance (world fairs). They used to be made from a variety of materials, including stone, pottery, jet, bone, wood, shell, bronze and gold. Nowadays, they are made mainly of plastic or metal, wood and seashells. If you are new to collecting then firstly it is important to sort your buttons out by materials and separate the plastic ones from the metal ones etc. This is because certain materials do not sit well together and may rust. Also you could start by mounting your buttons on mat boards, which has the dual purpose of showing them off and also keeping them safe. There are many displays of buttons in art galleries and museums across the country to inspire you. The Victoria and Albert Museum in London has an extensive collection. The Birmingham Museum and Art Gallery (local to me) also has a nice little collection too. If you are interested in collecting buttons, then look at the website of the British Button Society, that has useful information and links. You can check if there is a button club near you! 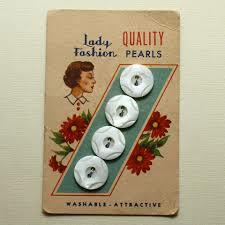 Worth a look too is the National Button Society of America with its worldwide followers.